Windows 10, like its predecessors, provides it’s users with valuable pop-up notifications to keep them updated with their system conditions. The notifications are shown just above the task bar at the lower right corner, as and when an important information needs your attention. Keeping updated with such information is very important as it could actually be something quite useful and necessary for the proper working of your system. But sometimes, the notifications come and leave in such a haste. You don’t even get to read what it’s all about. But yes of course, Windows never mean to disappoint you that way. If you are not comfortable with the duration for which the notifications pop-up, you can just change the duration from the settings page. Read on, to learn how to change the default duration of pop-up notifications to your comfortable pace. 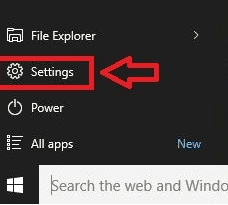 Launch Start Menu to find Settings from the list. On clicking Settings, you will be lead to the following window. Select Ease of Access from the provided menu. 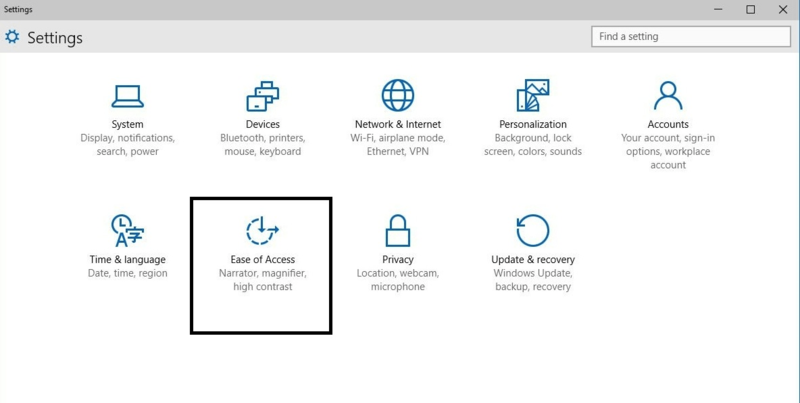 Once you click on the Ease of Access item from the Settings page, you will be given a menu which will look like the following. At the very end of the list, find Other options and click on it. When you click on Other options, at the right part of the Ease of Access window, look for a heading named Show notifications for and click on it. From the list that drops down, choose your comfortable duration. The list items will be 5 seconds, 7 seconds, 15 seconds, 30 seconds, 1 minute and 5 minutes. 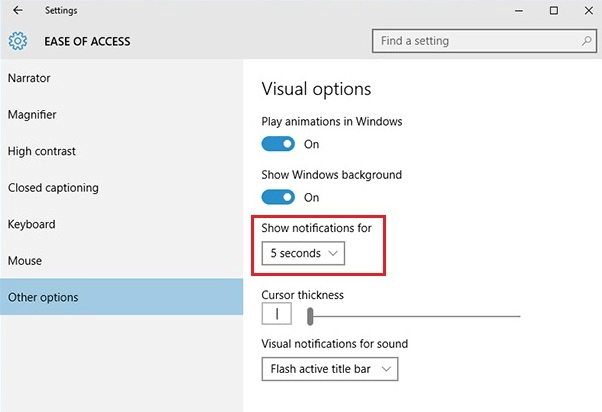 This selection will set the new duration for your notification pop-ups. Notifications in the middle of an important work may seem irrelevant and unwanted. So people tend to set them for a very short duration as well. But this could lead to problems as some notifications are really important for the proper working of your system. So set the duration for your notification pop-ups wisely and conveniently.